The center piece of any beautiful living room is a beautiful sofa. Whether you are entertaining the neighbors with tea or unwinding after a grand afternoon, our miniature sofas collection are sure to provide the atmosphere you desire to create. 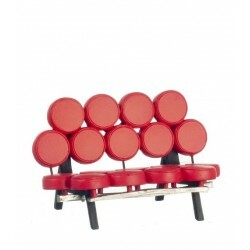 Redecorate and redesign your dollhouse with this Fauteil/le Corbusier Sofa. Your decor and collection of miniatures will be taken to another level of fabulosity. 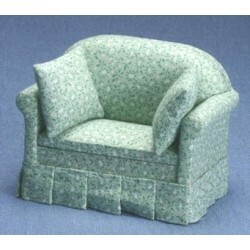 You will love this Green Floral Sofa as it complements your other miniature dollhouse furnishings. Now is the time to design a great new look! 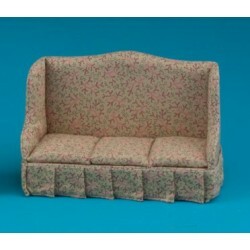 Dollhouse Green Floral Sofa from our selection of miniature living room furniture. Adding this Country Tan Sofa to your miniature collection is just what you need to make your dollhouse a home, and showcase your fabulous taste. Dollhouse Country Tan Sofa from our Miniature Living Room Furniture selection. 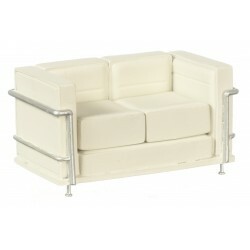 You will love this Marshmallow Sofa/1956 as it complements your other miniature dollhouse furnishings. Now is the time to design a great new look! 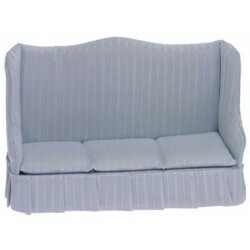 Adding this Sofa, Light Blue Stripe to your miniature collection is just what you need to make your dollhouse a home, and showcase your fabulous taste. 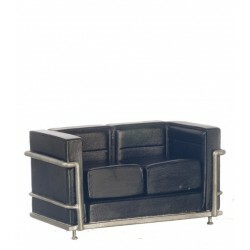 You will love this LC2 SOFA/LE CORBUSIER/28 as it complements your other miniature dollhouse furnishings. Now is the time to design a great new look! Enhance your dollhouse collection with this Pink Country Charm Sofa. Added to your other dollhouse miniatures, it is a complement for a variety of styles and tastes. 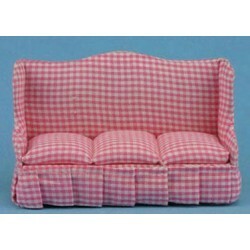 Miniature Pink Country Charm Sofa from our collection of dollhouse living room furniture. 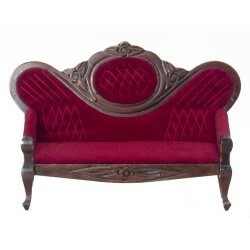 You will love this Victorian Sofa, Walnut, White Brocade as it complements your other miniature dollhouse furnishings. Now is the time to design a great new look! Adding this Sec.sofa Chaise/arm/left to your miniature collection is just what you need to make your dollhouse a home, and showcase your fabulous taste. 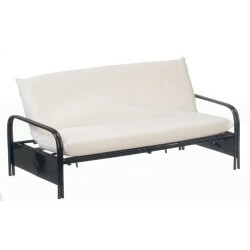 You will love this METAL FUTON SOFA/BLACK/CB as it complements your other miniature dollhouse furnishings. Now is the time to design a great new look! Adding this Victorian Sofa/red to your miniature collection is just what you need to make your dollhouse a home, and showcase your fabulous taste. You will love this Sofa, Mahogany with Emerald Green Fabric as it complements your other miniature dollhouse furnishings. Now is the time to design a great new look! Enhance your dollhouse collection with this Sofa, Floral Fabric. Added to your other dollhouse miniatures, it is a complement for a variety of styles and tastes. 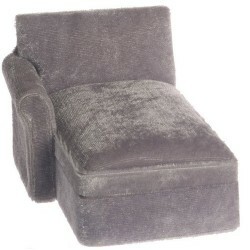 You will love this Sectional Sofa Chaise/arm/right as it complements your other miniature dollhouse furnishings. Now is the time to design a great new look! Adding this Blue & Gold Victorian Sofa to your miniature collection is just what you need to make your dollhouse a home, and showcase your fabulous taste. You will love this Sofa, Floral Fabric as it complements your other miniature dollhouse furnishings. Now is the time to design a great new look! Adding this Victorian Sofa, Walnut with Red Velour Fabric to your miniature collection is just what you need to make your dollhouse a home, and showcase your fabulous taste. Spruce up your dollhouse with this miniature Sofa/white/Walnut. 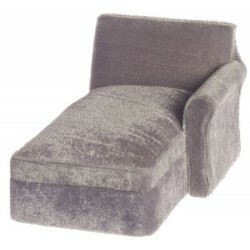 We have many miniature Sofas for that finishing touch.